When Portuguese sailors arrived on the coast of Ghana in 1471 they were astonished by the highly structured kingdoms they encountered. The Asante region of southern Ghana is a remnant of the Ashanti empire, which was founded in the 17th century when, according to a legend, a golden stool descended from heaven into the lap of king, Osei Tutu. The stool is believed to house the spirit of the Ashanti people. The Asante number 1,5 million, and the art of Ashanti can be classified into two maingroups: metalwork and woodcarvings. 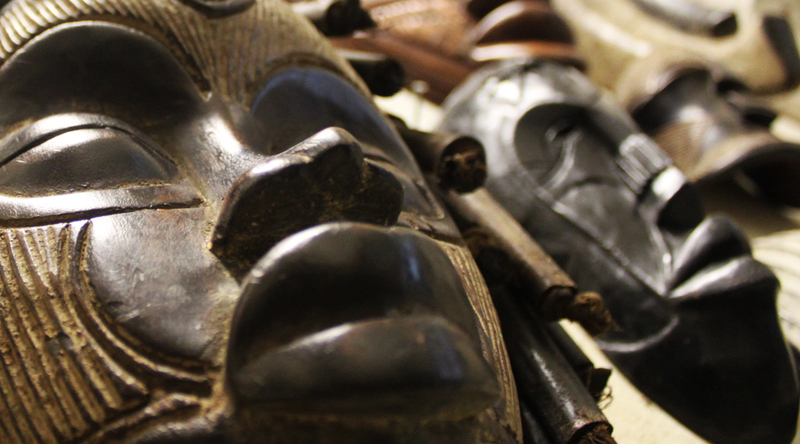 Fertility and children are the most frequent themes in the wooden sculptures of the Asante. The most numerous works are Akuaba fertility figures and mother-and-child figures called Esi Mansa. The Akuaba dolls are carried by women who want to become pregnant and give birth to a beautiful child. The Asante are also famous for their ceremonial stools, they are usually made for a chief and are adorned with beads or copper nails and sheets.